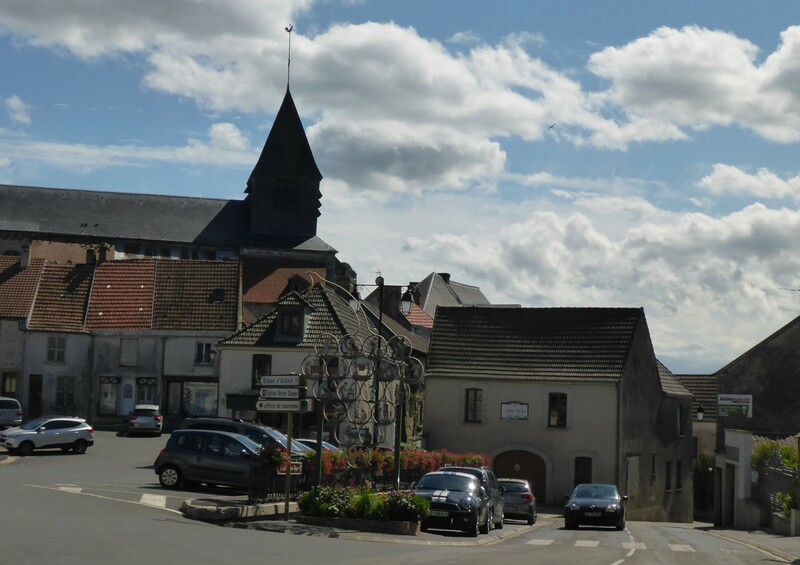 Enjoy the view of the vineyards and visit one of the many champagne houses and their well-filled cellars. 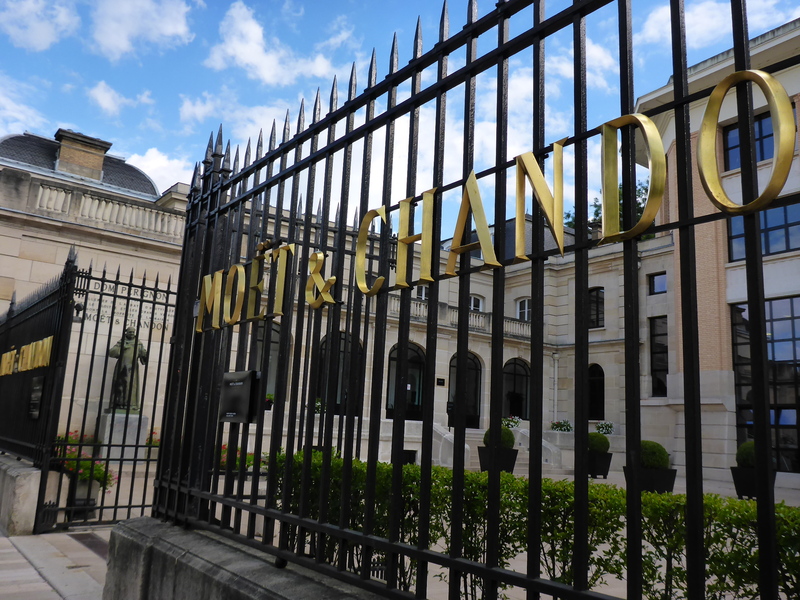 We went for the traditional tour at Möet&Chandon, dating back to 1743. The start of the tour gave an introduction to the Möet family history. After a short film, we went underground to the wine cellar. 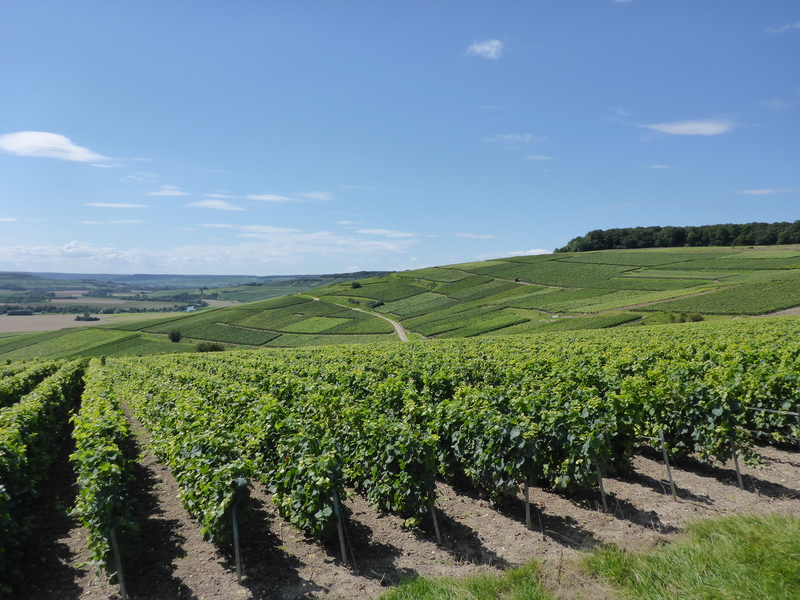 There are three types of grapes used to make the champagne; Pinot Noir, Chardonnay and Pinot Meunier, grown in 34.000 hectare all together. To have a good field, the ground has to be deserted for two years to make the minerals work their magic. The vines then grow for three years before the grapes are harvested. By hand! Depending on that year’s climate, the grapes are picked during two weeks from mid September to the start of October. This takes a lot of man-craft, about 100.000 men, to be exact. The wine cellar spans 28 km and was made by hand. The limestone make it humid and the temperature steady at 10-12°C. Maaaaaaany bottles in Möet&Chandon Champagne cellar. In order to keep the taste more or less the same every year, 20-30 % of the wines are from the year before. 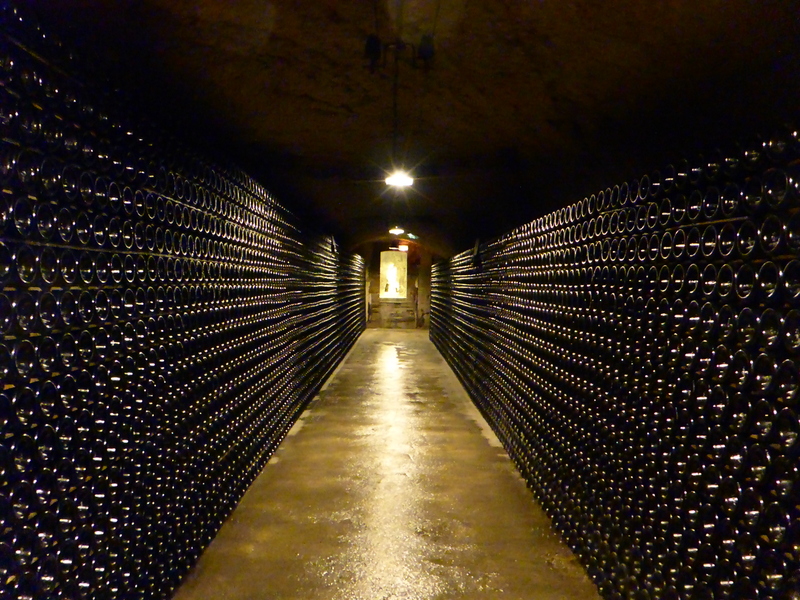 One champagne can consist of hundred different wines! 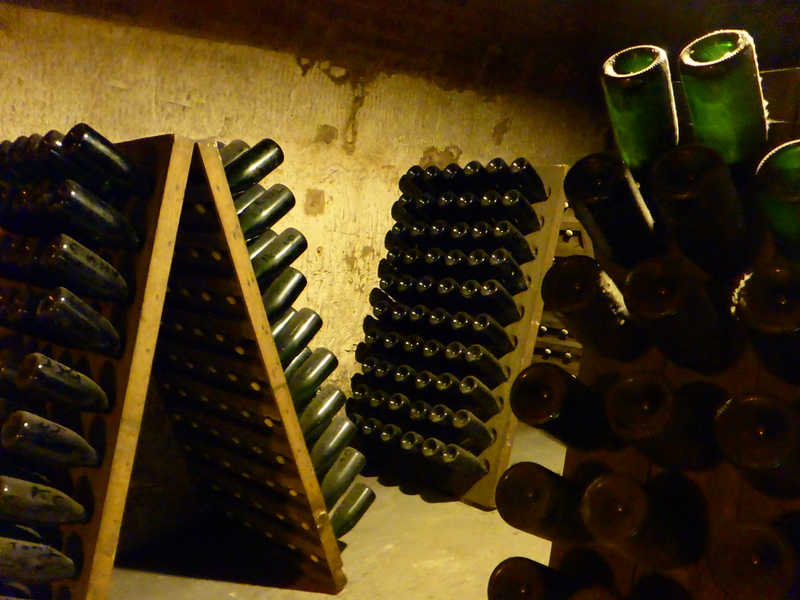 The process of making champagne is thorough and very time consuming. First of all, the wines are made in tanks of stainless steel to keep the fruitiness. By adding yeast and sugar to the pressed grapes, the fermentation starts. The wine is bottled, and left for six weeks. The carbon dioxide inside make natural bubbles. During 5-6 weeks, the bottles are turned several times, to make the sediments descend to the bottleneck. An experienced person can turn 52.000 bottles per day! By quickly opening the bottle, the pressure will shoot out the sediments. The bottle is then closed again, and rest for 2-3 months. Nowadays this process is made easier and more effective with machines. 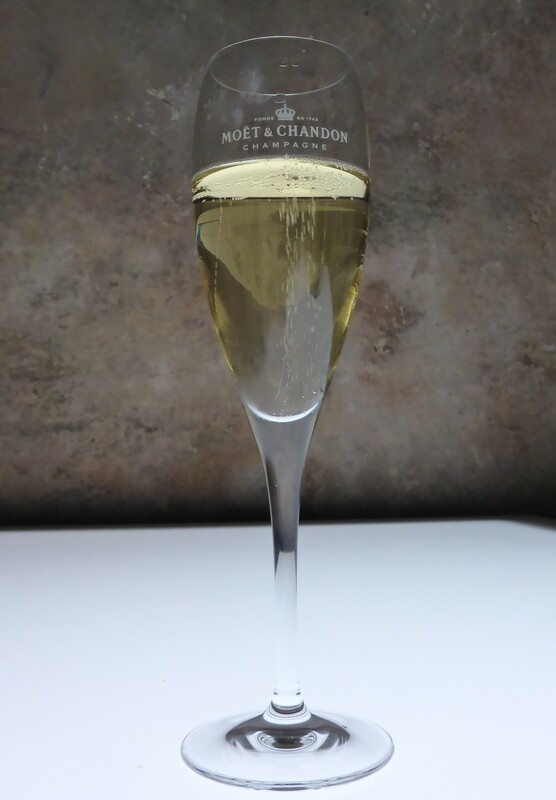 The champagne at Möet&Chandon is aged for at least two years, even though the requirement is 1,5 years. Learning about the process and seeing all the bottles in the cellar was quite fascinating. 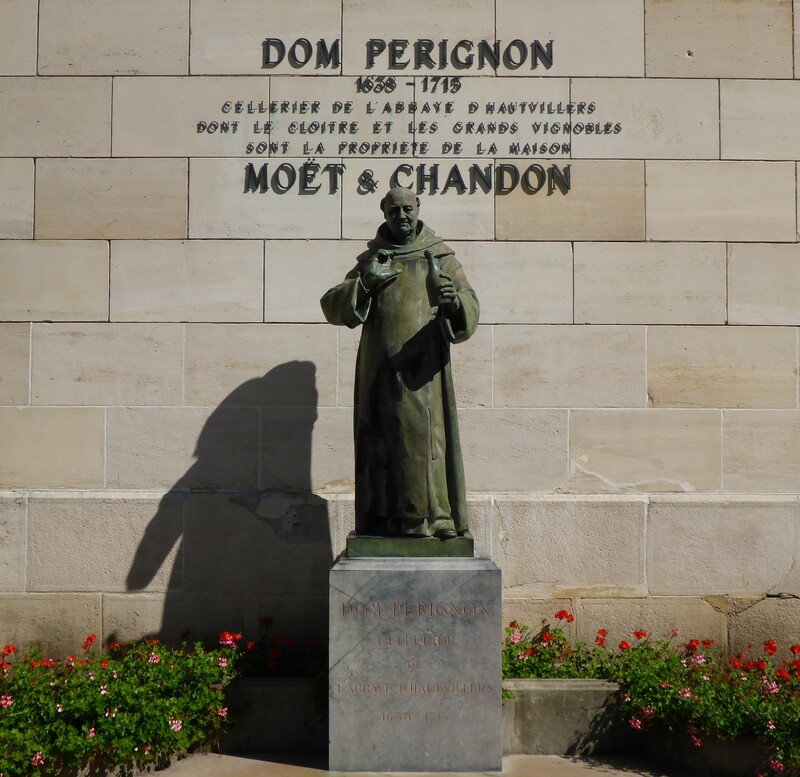 We also learned about the vintage champagne Dom Pérignon, named after the Benedictine monk. At the end of the tour, we off course got a glass of champagne. The regular one, that is.